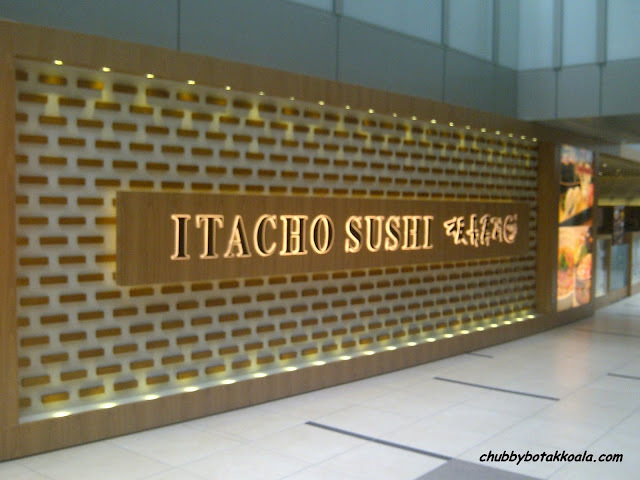 Itacho Sushi is a concept from Hong Kong-based F&B group specialising in Japanese cuisine called Company Taste of Japan Group. Currently this group has 7 dining concepts with more than 100 outlets in Hong Kong, China, Macau, Singapore, Japan and Australia. Currently there are 6 outlets of Itacho Sushi in Singapore and many more to come. Itacho Sushi is a Japanese dining concept that mainly focus on sushi. 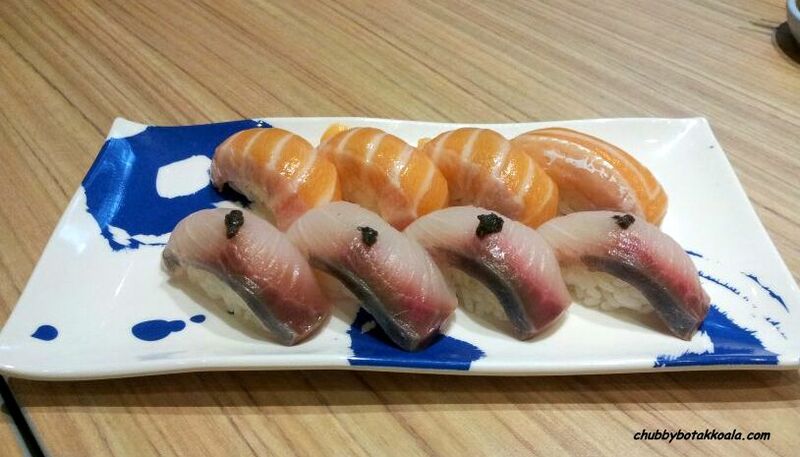 You can find both traditional theme and also the modern creative sushi as well, such as roasted sushi and other modern influence creations as well. 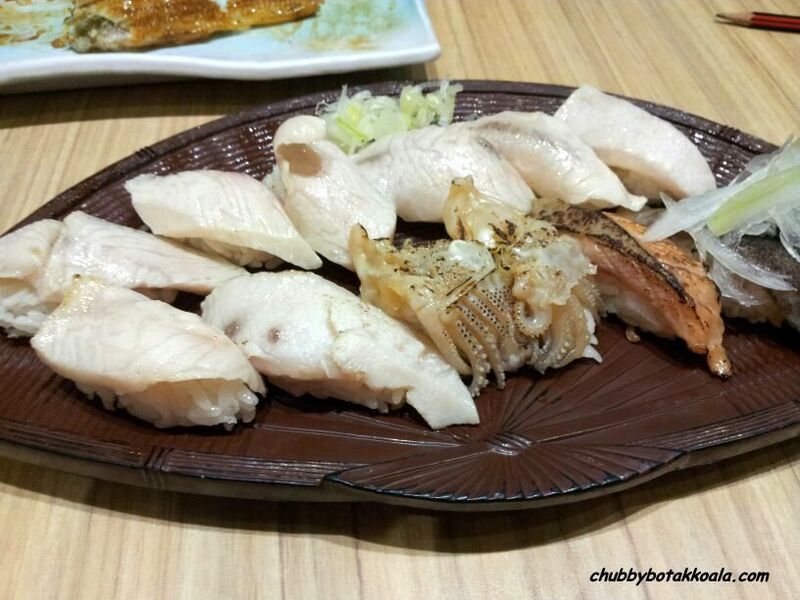 While sushi is the main theme, do not fret, you can still find other Japanese dishes in their restaurant. After Little Devil and her BFF had a wonderful dining experience in Itacho Sushi @ Ion Ocrhard, they insisted their hubbies to give this place a try. So we end up in their Changi Airport T3 outlet and we let LD and her BFF in charge of the ordering. 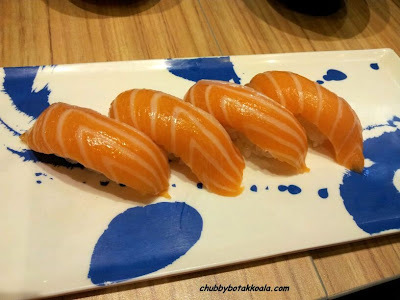 Spicy Salmon & Beancurd Sushi ($1.20 ea). A unique combination of crunchy beancurd on top of the sushi rice with spicy salmon. 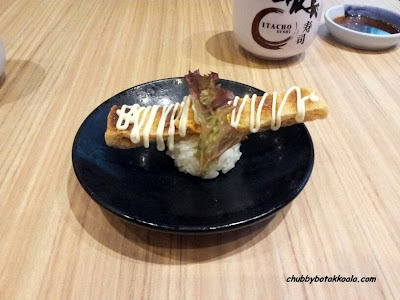 Nice presentation, the beancurd is crispy however you might not be able to eat the sushi in one bite. Yellow Tail with Sea Salt ($2.40 ea) and Yellow Tail with Citrus Junos Sauce ($2.40 ea). 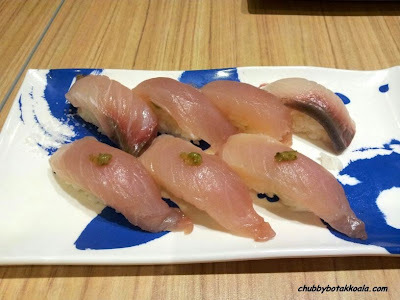 Unlike the black truffle sauce, we find it difficult to detect the sea salt in this sushi. While the citrus junos sauce is very subtle, a definite tasty 'marriage' with the yellow tail. Supreme Sea Eel ($6.50 ea). What a gorgeous presentation. 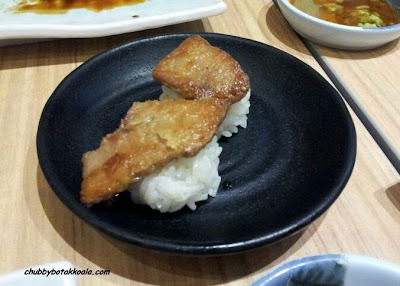 Generous slab of eel, on top of tiny sushi rice. Basically a must try for eel lover like myself, but it can be a challenge to consume. 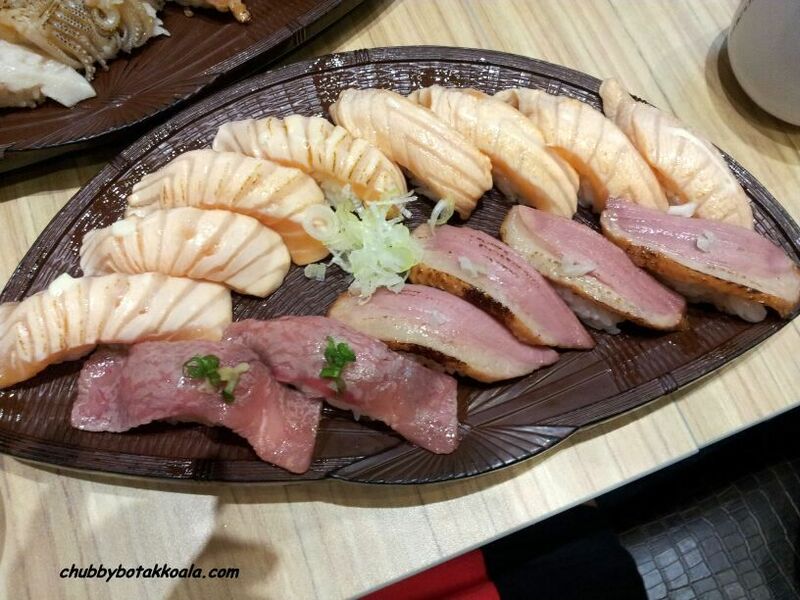 Roasted fatty salmon sushi ($1.70 ea), roasted duck breast sushi ($1.50 ea), roasted kagashima wagyu beef ($4.80 ea). This is actually the first time I ate roasted sushi. The roasting created a slightly crispy texture on the outer and reduce the possibility overwhelming fat overload from too much fatty salmon. Delicious. The wagyu beef basically melts in your mouth. While the roasted duck breast has a springy yet succulent texture to it. Roasted Swordfish ($2.80 ea), roasted squid leg ($1.20 ea) & Salmon with Soy Sauce ($0.40 ea). Again, the roasting component create a different texture and taste to the normal swordfish that we know. Very distinct but yummy. Grilled Pork Sushi ($1.30). Yup, grilled pork sushi! My first time trying this, the pork is just tender and juicy. Not to the point that it melts in your mouth, but it is good enough (according to LD and her BFF that the ones that they tried in Ion actually melts in the food). The sweet sauce is very subtle and inviting. Roasted Foie Gras ($7.20 ea). The Foie Gras is is crispy on the outside but soft on the inside. As the portion is small, the Foie Gras has become too dry and thus it does not have the melt-in-your-mouth effect. You can give it a miss. 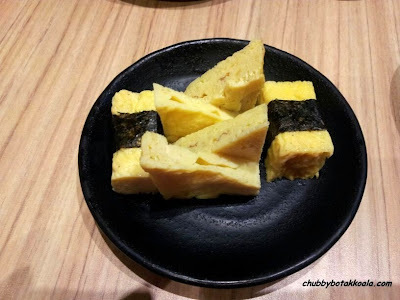 Roasted Egg ($2.40) is a combination of sweet tamago with a bitter charred. Not something you can find in every Japanese restaurant. Sea Urchin with Rice ($15 ea). 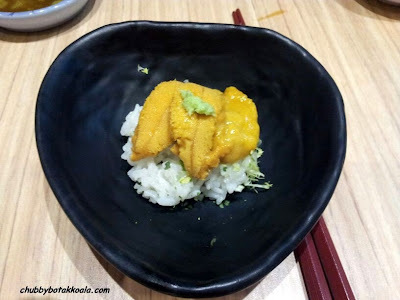 A must try for sea urchin lover. It is just you, the sea urchin and rice. Little Devil loves this and always order it when she has a chance. 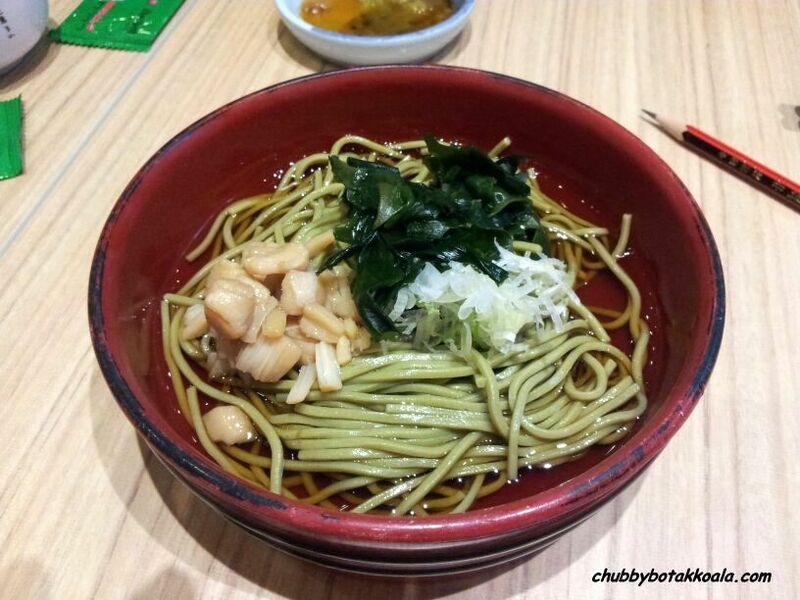 Anyway, if you still have some space if your tummy after the sushi above, you can try their Green tea soba with scallops ($6 ea), or Sweet potato ($3) and Home made milk pudding (caramel) ($3 ea). The soba is al dente, however the taste is just average. 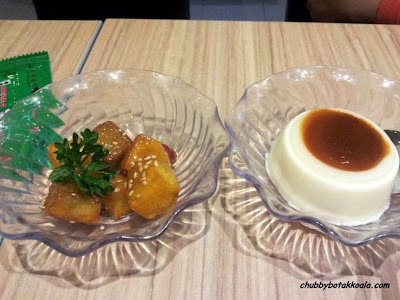 The sweet potato will be better if serve hot with crispy caramel coating. While the milk pudding is soft, but subtle in taste. The decoration for this place is quite simple and zen. Service is average. It took them a while before they take our order or even get their attention when we need something or when we need to place more order, even when the restaurant is no longer crowded. 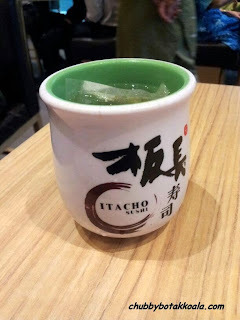 Overall, Itacho Sushi is a good place to come for your sushi experience. Price varies, starting from as cheap $0.40 up per sushi. Of course expect to pay premium when you want premium cuts. The best part is you will be assured of the fresh ingredients. Final note from LD, she feels that the ION Orchard branch is better than this branch. Cheers!! For the location of their other branches, check out their Facebook Page.